Britney Spears and Kevin Federline are now officially divorced, but "Extra" has learned that K-Fed's hard-charging lawyer Mark Vincent Kaplan may file for full custody of the couple's two sons! The filing could come as early as tomorrow. 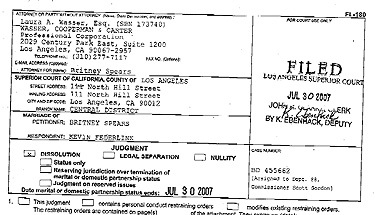 In addition, there may be a shake-up in Britney's legal camp. Stay tuned for all the latest details!